After going through a rough patch in Spain, we flew back to the UK to regroup. We celebrated our first Easter in years with family scoffing chocolate, completing some spring chores, visiting a friend in Devon and enjoying some home comforts. We also took the chance to do some serious travel planning for the next six months and we’ve come up with an itinerary that takes us from Spain through Eastern Europe and onwards to Asia. I’m writing this from our new apartment rental in Toledo, a medieval city and UNESCO World Heritage Site located just an hour outside of Madrid. We’ve only been here a couple of days but we’re already very happy in this ancient hill-top city in our lovely apartment, which is right in the heart of the historical district, just steps away from a gothic cathedral. We’re overjoyed to have our own place (even if it did cost us more than anticipated) and we’re taking advantage of the peace, quiet and fast internet to get lots of online work done. We’ve rented our apartment until mid-May, but we’ll be leaving for a few days at a time to work with kids in English Immersion camps in Guadalajara, which is just north of Madrid. 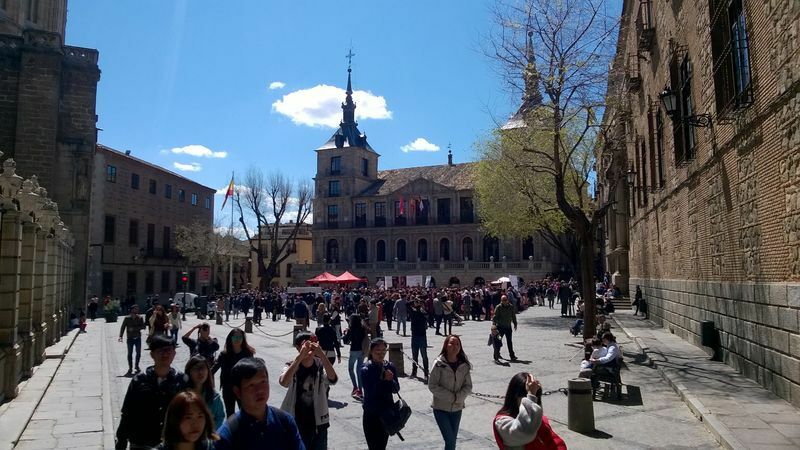 As always, we’ll be sharing our teaching experiences on the blog, as well as plenty of pictures and stories from our temporary home in Toledo. 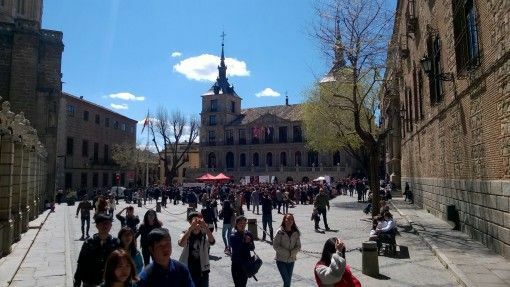 Although we struggled in Madrid before Easter, we’re determined to see this stage of our journey as a new start and given that we’re just an hour’s bus ride away from the capital, we’ll be venturing in to explore Madrid with fresh eyes. Spain isn’t as cheap as we thought it would be so after we finish our immersion camps in May we’re moving to a more affordable part of Europe. After hours of research on Airbnb and Skyscanner we decided to head to Split in Croatia, a country we’ve been longing to visit for quite some time. 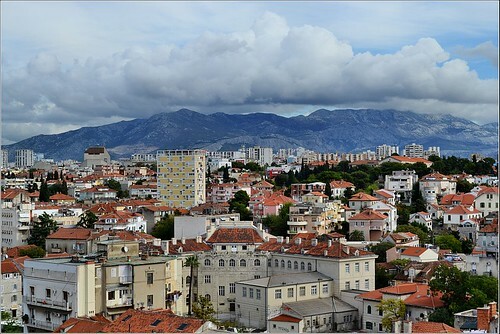 Split appears to have all the elements we love; it’s another historic UNESCO city full of windy narrow streets, it’s right by the sea and has good transport links to other parts of the country. We’re renting an apartment in Split for six weeks and one of our key goals during this time is to focus on living simply and cheaply. Having a kitchen means we can keep food costs down by cooking many of our meals and we got a great discount on the overall rental price by staying for longer than a month during shoulder season in late May and all of June. That doesn’t mean that we won’t be exploring Croatia though; when we first arrive we have a few days planned in Dubrovnik and we’ll be able to take bus trips and go island hopping to other areas of the country during our stay in Split. Despite living in the UK for most of our lives, we really haven’t seen much of Europe so we’re keen to do some more travelling once we leave Split. We’re sticking to Eastern European countries which are in the EU where our money will go further and we won’t have to pay visa costs. We’ll be focusing on budget travel by taking long bus rides between countries, staying in basic accommodation and making the most of free activities and cheap food. Our tour of Eastern Europe starts with a bus trip to Budapest in Hungary. 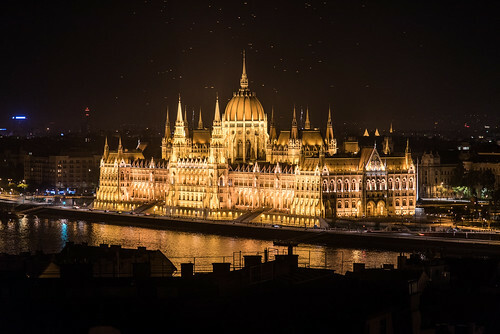 We’re intrigued by the city’s history and size (it’s one of the largest in the EU), its World Heritage Sites, beautiful parliament building, geothermal springs, castle and reputation as one of the most beautiful cities in Europe. Next we’re headed to Bratislava, the capital of Slovakia where there’s plenty more historic buildings and medieval architecture, castles, cathedrals and baroque palaces to explore. 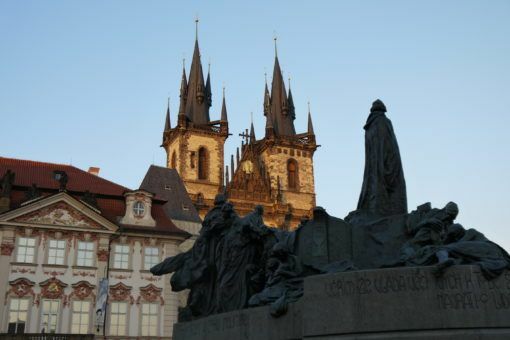 The finale of our trip will be a visit to Prague in the Czech Republic, which has been top of our list of European cities to visit for a long time due to its architecture, castle, multi-cultural history and low cost of living. We’re so excited to get back to our travel roots during our Eastern European tour with some full-on sightseeing in a corner of the world we’ve yet to explore. The hardest thing about our nomadic lifestyle is missing family and friends back in the UK; you’d think we’d be used to saying goodbye after travelling and living abroad for most of the last three years, but I actually find this harder than I used to. So, we’re happy to be spending some holiday time in Europe with family in late July and early August. First we’re heading back to Italy, a country we visited a few years ago and loved, to hang out with Andrew’s family in a villa in Perugia. We also plan to spend a few days in Florence and we’ll be eating as much pasta and gelato as we possibly can during our two-week stay in Italy. After that we’ll be joining my family in Malaga, Spain, for a week of sunshine, food and pool/beach time; we’re particularly excited about hanging out with our nephew on his first holiday abroad! We’re returning to Chiang Mai! The biggest news we have to share is that we’ll be returning to Asia in mid-August. This was a hard decision to make since we’d planned to stay in Europe to be closer to family, but in the end we had to listen to our guts and recognise that Asia is the best place for us to be right now in terms of work and living costs. I’ll be writing more about our reasons for returning to Asia and what we’re hoping to achieve there, but for now I can tell you that we’ll be flying into Thailand and making a beeline for one of our favourite Asian cities: Chiang Mai. What do you think of our upcoming travel plans? 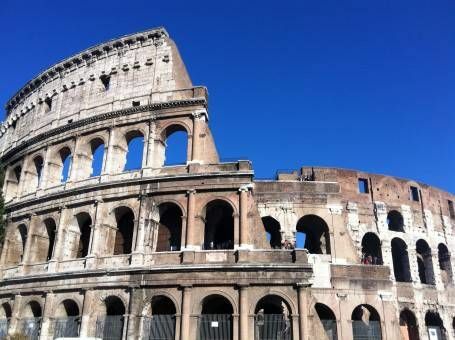 Have you been to any of the places we’ve mentioned and can you give us recommendations of things to see/do? I have lived in Europe for 28 years and have yet to visit Prague and Budapest. Eastern Europe has so much to offer with a rich history and culture, but I don’t know when I will make it there and therefore I am looking forward to travel vicariously through you. Sounds like Thailand is calling you back? 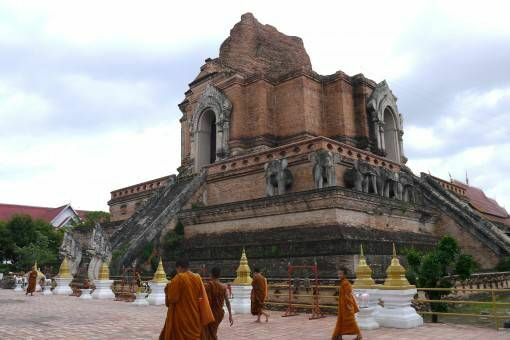 Chiang Mai will be a great place to base yourselves for a while. I would love to go back there and stay for few months. 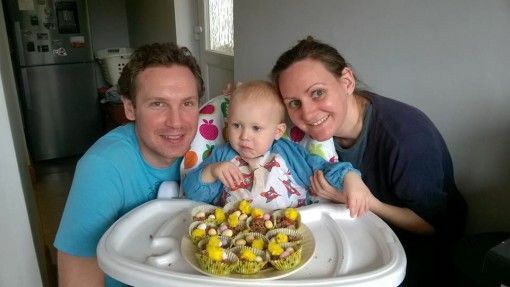 Your nephew is adorable, I remember making little Easter cup cakes with my kids…great fun? So exciting! Are you guys going to try to teach there? I can’t wait to hear more about Spain and Split. Croatia is so high on my travel list right now, I’m finding it so hard to be stuck in LA. But not for much longer! Exciting to hear more about your upcoming adventure! Hi Kristen, yes, we’re looking at teaching and volunteering in Thailand for a while if things work out. We’re excited about Croatia too, we have been wanting to visit for ages and we’re looking forward to sharing our experiences on the blog. It sounds like you have exciting travel plans too! Hi Louisa, Montenegro sounds lovely, we’ll have to check it out one day. Thanks for reading and following our journey, I hope you’re well. Wow, you guys are returning to Spain?! I’m glad that while the first round of plans didn’t work out, it didn’t dampen your attitude towards the country. Just a heads up: I found that Croatia was very pricey in comparison to the likes of Bosnia and Serbia, especially Dubrovnik and Split because they are on the Dalmatian Coast. Food is particularly expensive if you eat out a lot so try to make your own food. I think Budapest is one of the best places I have ever visited so I hope you enjoy your time there! And Prague is on my itinerary when I head back to the States next year. Can’t wait to read about the upcoming adventures! Yes, we are back in Spain now and have just finished a school camp week; we’ll be in Spain until the end of May before moving on. Thanks for the heads up on Croatia; we have an apartment booked so hopefully we can save money by just cooking most of our meals. Budapest sounds awesome, I’m excited! yea for Chiang Mai!!! It sounds like some lovely months ahead before heading back to one of your favorite cities. Good for you for following your gut. We have only been back in Mexico for 2 days but are already feeling more at home than we did in our short time in San Diego for the camper repair and while I don’t know if we’ll end up here eventually for good… SO glad to be back now! Hi Rhonda, I’m glad you’re feeling more at home in Mexico now and it’s nice to hear from another Chiang Mai fan – we’re excited about returning! These are excellent travel plans! Florence was my fav city in Italy by far and Chiang Mai speaks for itself. Thanks Shaun. Great to hear more good reviews about Florence, I’m excited! Prague is a lovely city with such an interesting history. We stayed for a couple of days last June and really enjoyed it. One tip is to say ‘Dobriden’ (‘good day’) or ‘ahoy’ (‘hi’) and ‘Dekuju’ [day-koo-you] (‘thankyou’). to all the shopkeepers rather than just saying it in English. It’s nice for them and you’ll get much better service. The ‘free’ tours are great to get your bearings in Prague. You do end up paying but just what you think is fair at the end of the tour. They usually sell other tours – my husband did the beer tour and we did the castle tour and they were both also excellent. We also went to Bratislava and while the train station is a bit grim, the old town is fantastic. It was a warm sunny day which always helps but even so its a great little city. We visited the castle and had a delicious slovak meal (rabbit and parika, and perky (sort of ravioli with plum jam inside and poppy seeds and melted butter over it)) at Restaurant Hrad (on the steep street leading up to the castle) then got a very moving history lesson from a young girl in a shop about Bratislava’s struggle to be free. Made us feel very ignorant and very lucky. I’m so glad things are falling into place for you both, it would be great to hear all about your eastern adventures. This is great news Amy! You guys are going to have such a great time in Eastern Europe. And guess what? Even though I consider myself somewhat of an expert in that region, I haven’t been to Croatia yet so I’m looking forward to reading all about it! And if you have any questions, let me know! Hi Victoria, I’ve been checking out some of your posts actually about Eastern Europe as research 🙂 If I have any questions I’ll let you know! We are excited to finally see some of Eastern Europe. Wise choices! I’d love to be in Europe again and your plans to go to Split definitely have me yearning… I always thought of Spain as being a cheap place to live too, though East Europe has the edge for sure. We missed Budapest last year as I was trying to get my ‘turning 10’ daughter to Disneyland as a surprise and so missed it, but definitely next time. Another trip over and buy a small vintage caravan is the plan before too long.